I have used ooma for a while and now want to integrate it with my land line, which I intend to keep with minimum service. 1) If I have my ooma hub and scout hooked to my land line, should the ooma hub and scout ring if I get an incoming call on my land line phone number? That is not happening now, and I'm not clear on how it should operate. 2) If I disable caller ID from my land line, does that disable ooma caller ID on calls I forward from my land line to the hub or scout numbers? I'd appreciate any help on these two issues. First off, welcome to the ooma forums! May I ask what you intend to accomplish by integrating your landline to your ooma system? In some ways, you actually loose features or increase cost by doing so. If it is merely a way to have an emergency line for 911 or if the Internet goes down you may be able to accomplish the same results without integration. If it because of wanting to preserve your number, you may wish to port the number and replace it with another number on your basic landline. Let us know what you would like to do and I'm sure we can help! Lakeo wrote: 1) If I have my ooma hub and scout hooked to my land line, should the ooma hub and scout ring if I get an incoming call on my land line phone number? That is not happening now, and I'm not clear on how it should operate. Lakeo wrote: 2) If I disable caller ID from my land line, does that disable ooma caller ID on calls I forward from my land line to the hub or scout numbers? "Forwarding" calls to Ooma is something done by the telco. Integrating the telco line with the Ooma hub is combing the two services into one line. Given you asked about integrating the two, I assume your question refers to that, and the answer would be calls received on your landline would lose the caller id function that appears on your phone. Incoming calls on the Ooma would show caller id information. If you setup ooma WITH a landline (Provisioning your landline) all calls coming in would utilize your landline, all local calls will utilize your landline, and all long distance calls going out would utilize ooma. Your ooma number will be your landline number. You would not be able to run a "minumium" landline, it would have to have unlimited local calling, and call forward on busy added. This all would have to be done through ooma support, if you have not set up ooma this way in the beginning. 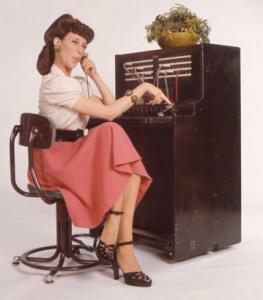 Negative side: Some premier features do not work with a provisioned landline. Call blocking is one. On the other hand, you if keep your landline totally separate from ooma, (like you have now, I believe) all calls coming in and going out will be through ooma with a phone number given to you by ooma. Your landline will not ring through on the hub, it would have to have a separate phone plugged into a wall jack by itself. You could infact, keep the phone at a very basic rate in this setup. You could put call fowarding on your landline number and it would ring in through your new ooma number. I don't believe you need caller ID because ooma would provide the id needed. Someone correct me on this if I'm wrong. Hope I've answered some of your questions. Thanks to you all. I guess I misread about having ooma hooked up to the land line thinking that a call to my regular land line phone number would also ring on the ooma hub and scout. Since I want to keep my current land line number (see below) I think the best way to accomplish what I want is to call forward our land line calls to one of the ooma boxes. The ooma hub has a local number so I can call forward without incurring any LD charges. First, I have an alarm system. Second, I will be moving the ooma boxes between two residences and I need to keep at least call forwarding capability on the land line at our main home since most people are use to calling that number and being forwarded to our cell phone or our second residence. At our other residence where we are only 3 or 4 months a year, I will use only the ooma boxes. Fourth, we have had our phone number for 30 years, and frankly until I'm satisfied that ooma will make it "business wise" I don't feel comfortable porting it to them. I do have some confidence however since I did port our number at our second residence to ooma. Thank you for sharing your requirements. I think you have found the best solution for your situation with the alarm, power failure security, and several residences. It is also the most flexible to just leave your landline separate and forward it as required. You might also want to consider throwing Google Voice into the mix. Let me explain how I would use it. You obtain a free Google Voice account and list your ooma phone number and cell phone numbers on the account. You forward your home number to the Google Voice number. When a call comes in to your landline number, it is forwarded to GV and rings on both your ooma and cell numbers. The call can be taken at either phone. You can even set the GV ring options by telephone or on the Internet. I use my iPod Touch for that purpose. Later this fall, ooma will be introducing Premier Extensions for Google Voice that will even over more integration between the two. I agree with Southsound. I also have a separate landline, just as you do. The phone company made me a good deal and for now it's a keeper for backup. Keep in mind, if you do have the WALL port on the ooma hub connected to your wall jack, if the ooma connection goes down, your landline will take over on the hub. Give it a test. Unplug the power from the ooma hub. When it goes red you should now hear a regular dial tone on the phone plugged into the ooma hub. Thanks for the input southsound. I obtained a GV number a few weeks ago and have been trying to figure the best way to utilize it. My GV number is a local call from my land line so I could use it as you suggest. I am currently using multiring on my ooma numbers so I accomplish much of what I could do using GV. There may be some things I'm overlooking however. Can you give me more info on what exactly the Premier Extensions with GV will entail? This whole phone thing is becoming a real game of chess. Thanks also to niknak and WayneDSR for your inputs. Yes, remembering to change the 911 address is CRITICAL! Some tips on how I use Google Voice - I have call presentation turned on and have populated my contact list with about 120 names - people who are "sometimes" callers. If I wanted to, I could set them up in groups for special forwarding handling, but right now most are part of my default group. When a caller who is not on my contact list calls, they are prompted to say their name. When the call is announced, either with my contact name or the one they just recorded, I have the option to take the call (with or without recording it), send it to Google voicemail, or send it to voicemail while monitoring what they are saying in case I want to jump in. Much more full featured and flexible than just using multiring. Since call presentation requires input or the call goes to GV voicemail, it bypasses my ooma VM. I am sent an email notifying me of the message and I can even use my iPod Touch to play the message or see a transcription. Dennis Peng in the ooma blog wrote: With ooma Premier’s Google Voice Extensions, we can automatically show your Google Voice caller-ID when you make a call, no need to use the web site or call into Google Voice just to do that. You can also check your Google Voice messages with a touch of a button, just like using an answering machine. And with ooma, you don’t need to pick up your phone to hear who is calling. We’ll play the announcement and message over the speaker for you - pick up the phone only if you really want to answer. Finally, if you don’t want to go through the hassle of switching to yet another new phone number, use your existing ooma number (or port your number to ooma) and we’ll forward it to Google Voice.